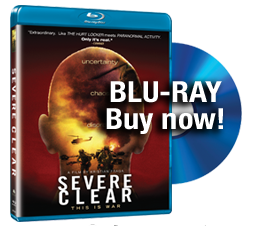 I reviewed Severe Clear tonight, and don’t know whether I’d make a good reviewer or not, but I have mixed emotions, which I will share with whomever cares to. I’m a U.S. Marine and have been in the Corps for a short 22+ years. I’m enlisted and have served in the Gulf War, Iraq, and Afghanistan. 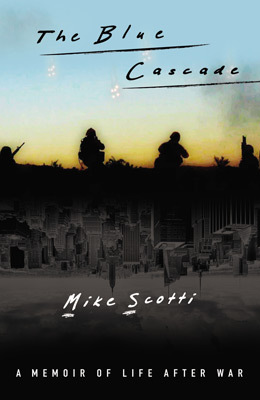 Beginning up to the assault- (Excellent depiction of the life of a Marine. Cusses like a sailor? Where do you think they (sailors) learned it from? Acting tough is one of the ways we prepare ourselves mentally for what lies ahead.) I am taken back to the days of “hurry up and wait” while preparing to deploy and while being on ship. I’ve been aboard the USS Tarawa, USS Denver, USS Essex, and the USS WASP. Couldn’t wait to get off of all of them, and wish I could go back and do it again. I remember the desert of Saudi Arabia waiting to cross the breach to head North and liberate Kuwait. People I had never even known existed the week before when all I knew existed was my rifle and my girl (who later became my bride). I deployed to Saudi blind with my fellow Marines and sister servicemen. Blind because of the unknown. We were breaking new ground because the U.S. had not faught a full scale war in this environment in modern warfare. We had no current maps or modern desert equipment. Hard to believe you could get hypothermia when it was 130F a few hours ago, but now that the sun has set the temp falls to 70F and you realize that the wet flak jacket you have on gets pretty cold after a 60 degree temperature drop. SC reminded me of countless years I must have accummilated figuring out how to fight boredom and keep sharp. War- This is the part where I have mixed emotions. I will no doubt spend most of my night sleeping pourly with my own demons stirring in my dreams. Warriors will appreciate Mike’s footage and goal of making the public aware of what “war” is in reality t.v. senses. I DO NOT think that footage of the dead was required. That is Tabboo in my humblest opinion. We are trained to look at the innocent civilian as we would our own family and that is how we want to treat them. Innocent will die, but our enemy is a warrior to in some sense. Some of the scenes of the dead will counter what I think Mike was attempting to accomplish. HOWEVER- I must say that the Fog of War was excellently protrayed, homerun. I returned from my first few combat tours with rage and even a little hate in my heart, unknowingly… In the Gulf War I spent from Aug 90 to Jan 91 learning how to hate the Iraqis because they were “ALL” murderous folk. When I crossed the breach and took my first EPW (enemy prisoner of war) I saw a frightened man who had not know I existed a year earlier. He was probably a goat herder or a farmer, not terrified as to whether I am going to kill him. He had a piece of shrapnel wedged in his forehead that had been in there so long it had grown over with skin. My Corpsman treated him and we fed him and sent him South to be questioned. SC showed what all warriors already knew, at least the vets from the Gulf anyway….we would be back and now we were. My hate and anger was packed away deep in a hidden place in my mind and heart for a long while. Unfortunately, you can’t keep it that way. It always finds a crack to ooze out and always at the most improper time. Amongst warriors this is something we rarely talk about and never to civilians. The response to any outsider is “You don’t understand”. The day you first realize that you are flying off the handle at everyone you love, is the day that you start to question your resolve and whether you were a science project there. Was there a WMD? Yes, his name was Sadaam Hussein. He murdered tens of thousands while the world stood by and did nothing except economic sanctions. While I was there, the innocent appreciated us and the bad guys didn’t. The bad guys often put on an act pretending to be innocent, but that could only hold up for short periods of time. Mike protrayed how the mood could swing like a fence. True in the world’s opinion as well. Funny how those that don’t think we should have gone to Iraq will never be satisfied with what we have done there. It will never be good enough. I don’t mention this to ramble on, but to point out that they are the one’s that will exploit this film and damage the reputation of our brotherhood of warriors because “They don’t understand”. Summary: More then a movie and more then a documentary. Mike is a warrior and a hero who served his country well. I am proud of his service and all of those that have defended our nation. This is an excellent movie to show young warriors when they are training and want to know what “it” is like. Not suitable for youth. I believe the non warrior will not appreciate this film.